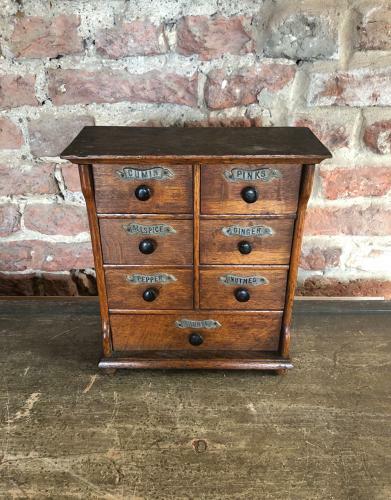 Late Victorian Treen Spice Chest of Seven Drawers. All drawers with their Original Metal Labels. CUMIN, PINKS, ALLSPICE, GINGER, PEPPER, NUTMEG & LAUREL.